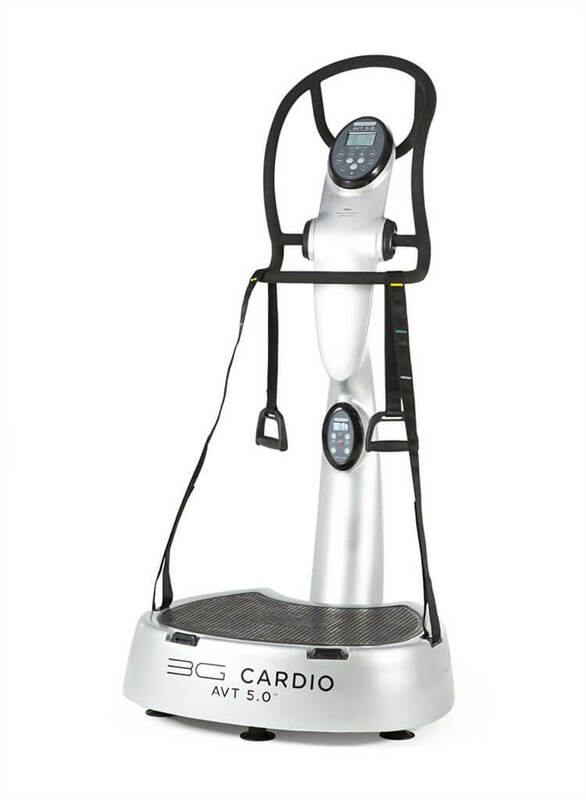 The AVT 5.0 Whole Body Vibration Machine from 3G Cardio is one of the world’s top vibration machines and is the perfect supplement to an exercise routine. Does Whole Body Vibration Really Work? Do Vibration Machines Help Exercise Your Heart? Yes. When used correctly, you can work out your heart when using a vibration machine. That’s an incredible benefit to a workout routine that is not only easy on the joints, but can help benefit them as well. Check out the video below for a short demonstration. 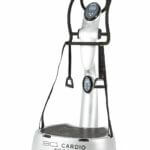 What sets the 3G Cardio AVT 5.0 Vibration Machine Apart? This platform size provides ample room for standing and alternating positions while using the machine. It’s also large enough to perform the various workout techniques to keep variety in your vibration machine workout. 3G Cardio makes a larger platform in the AVT 6.0 Vibration Machine, but that machine will cost you almost $1,000 more than the AVT 5.0. Most of the lower-end vibration machines max out at a user weight limit 250 pounds. If you’re looking to shed some pounds, that’s not good news. The AVT 5.0’s quality allows it to have a max user capacity of 400lbs. The AVT has a vertical amplitude settings range of 1.5mm – 3mm, meaning that the machine vibrations vertically instead of side to side which can cause sheering. Many low cost vibration machines use horizontal motion, but the AVT provides the good vertical vibrations good vibrations 🙂 that you want. The settings allow you to fine tune to your desired level whereas low-end machines only have a high/low setting. The AVT 5.0’s frequency or Hertz capability comes in at a good range 30-50 Hz. This setting again lets you fine tune and set your routine to your desired level. The machine itself is solid and sturdy. You may have seen other machines that rattle instead of vibrate. They seem like they’re going to fall apart. With the wider base, and solid build up to the handles, you’ll notice right away that the AVT 5.0 is built to last. Unfortunately, when it comes to health, too many take a shortcut, going for the cheaper options and end up hurting themselves in the process. Quality in the build, and attention to detail creates a top of the line vibration machine that is really hard to beat. Other whole-body vibrations have a plate that is just that: a metal plate. A metal or hard plate is not very comfortable, and it limits what you can do on the machine. What is means is that the surface is soft, and yet still firm enough, for you to stand or sit on the surface. Many of the extra exercises you can do with the AVT 5.0 are because of this special surface that other machines just don’t have. The AVT 5.0 has 24 built-in programs that create variety in your workout that include strengthening, stretching, and even massage. Designed to help you get the most of the machine, you can use these programs or also view the extended workout routines on the 3G Cardio YouTube Channel. In addition to the 24 Built-in workouts, you can create your own custom workouts. Some reported that they weren’t aware that to get the most out of the machine you need to use it like a workout machine which includes doing squats while the machine is going. It’s a misconception that whole-body vibrators do all the work for you. But the right routines followed-up with healthy eating, can really make a difference. Where to Buy the 3G Cardio AVT 5.0? 3G Cardio sells the AVT 5.0 right on Amazon which means it not only comes with a manufacturer warranty, but also the A to Z guarantee that Amazon provides its customers.